Yep, it was another slow starting, low scoring game for the Tennessee Titans. In the first half, Tennessee was only scoring by field goals. Kicker Ryan Succop did all the scoring. First, with a 29-yard kick and then a 45-yard kick for the Titan’s only scores. Quarterback Marcus Mariota threw two interceptions in the first half of the game. That created flashbacks to the horror that was last week’s Thursday Night Football game against the Steelers in Pittsburgh. A 40-17 loss where Mariota had four interceptions. The second interception during this game happened when wide receiver Taywan Taylor fell down, and the ball went sailing into Indianapolis defender Nate Hariston’s arms. The Titan’s offense was struggling during the first half, trying to start the run game unsuccessfully. Fortunately, the defense had more luck. The Titans defense had six sacks before the half. By the end of the game, they had 8 sacks, which is the most by the Titans in a single game since 1985. Still, the Titans were a bit lifeless and not exactly fun to watch. 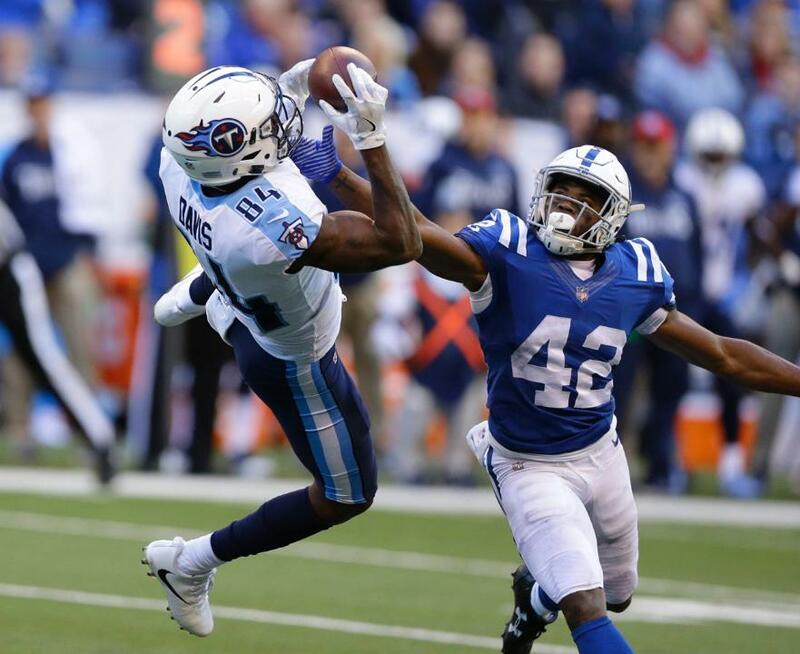 A fumble by Colts running back Marlon Mack in the backfield that was recovered by the super wonderful safety Kevin Byard finally sparked some life into the Titans. It was first and goal at the four for Tennessee. Mariota threw the ball to tight end Delanie Walker for a touchdown, and Walker did a creative CPR touchdown celebration with the football. We needed some FBR, football resuscitation, for this team and that helped to liven it up a bit! 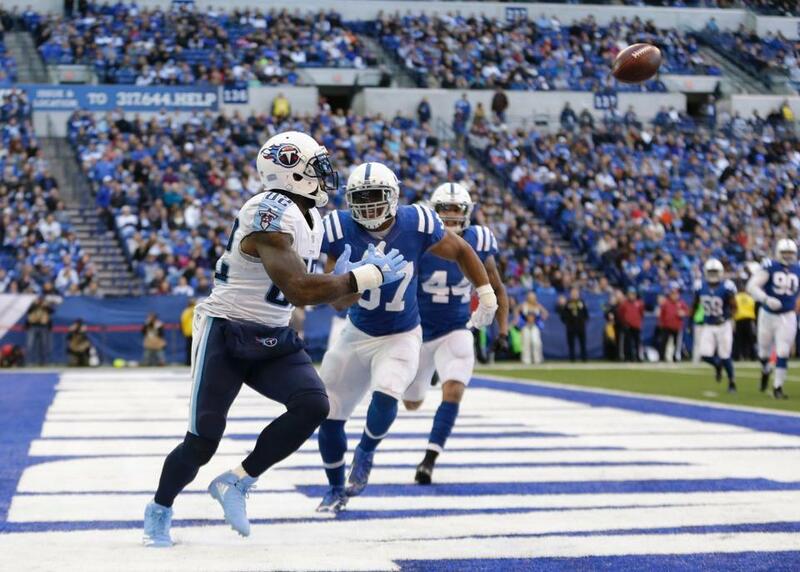 With this touchdown, the Titans were still trailing the Colts 13-16. However, that touchdown did give the team a spark and was able to rally up the troops to win the game. 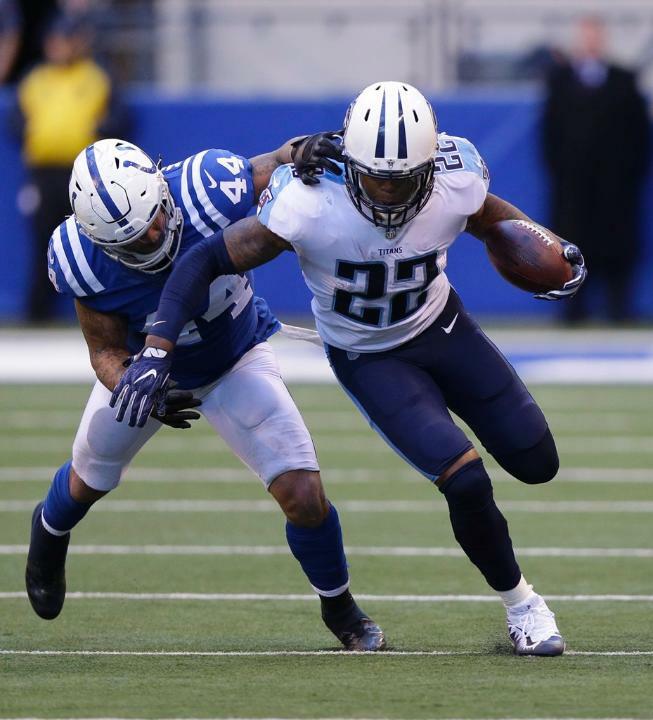 Running back Derrick Henry was the hero of the fourth quarter for the Titans, contributing 52 receiving/rushing yards on the final drive that lead to a one-yard drive touchdown from RB DeMarco Murray. Perhaps Mr. Henry was fired up a bit after the loss that his college team Alabama suffered to rival Auburn the previous day. The Titans are now back at the top of the AFC South after the Jacksonville Jaguars lost to the Arizona Cardinals. This is the first time since 2002 that the Titans have swept the Colts, and it feels good. It is much better than last week when the Titans let their quarterback get sacked five times and let the Steelers score 17 unanswered points. Coming up this week, the Titans are home in Nashville against the Houston Texans. The Texans have a short week as they are playing Monday Night Football against the Baltimore Ravens. Tennessee has home field advantage and it’s revenge time. The Texans totally dominated the Titans back in October winning 57-14 in Houston, an embarrassment for sure. Maybe this game will be the ONE where the Titans finally get running on all cylinders and give us some exciting football to enjoy. As an added treat, Dove and Grammy award-winning singer Mandisa will be present to sing the national anthem. Mandisa is a big Titans fan and her music is uplifting and joyful. If you are able, please come to Nissan stadium this Sunday for a great day of football. 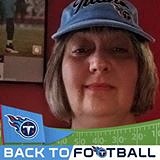 Posted on November 27, 2017 by Karen ChristensenPosted in AFC South, Indianapolis Colts, Tennessee TitansTagged Delanie Walker, Derrick Henry, Indianapolis Colts, Karen Christensen, Marcus Mariota, Tennesee Titans.